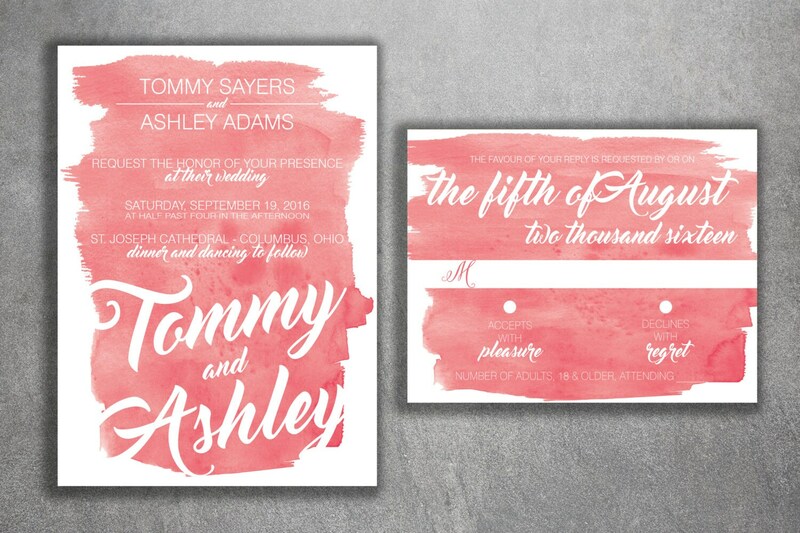 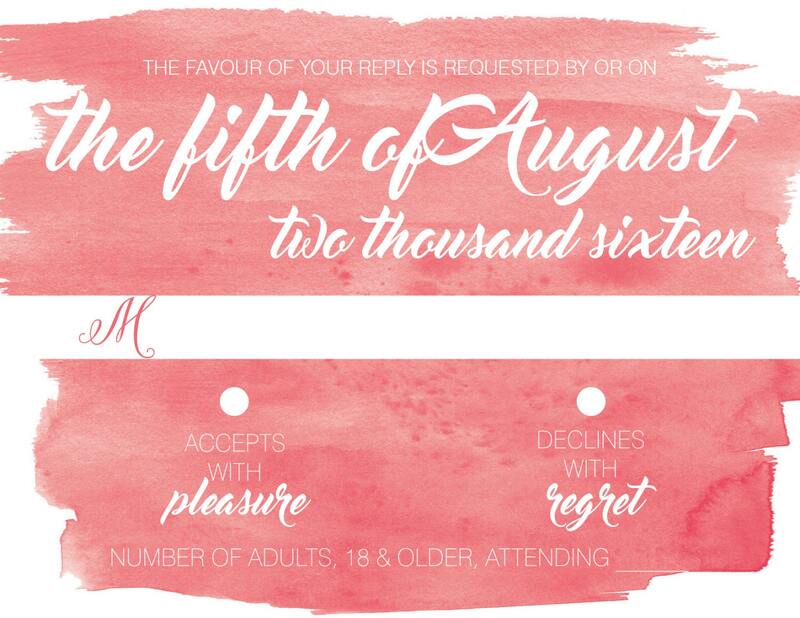 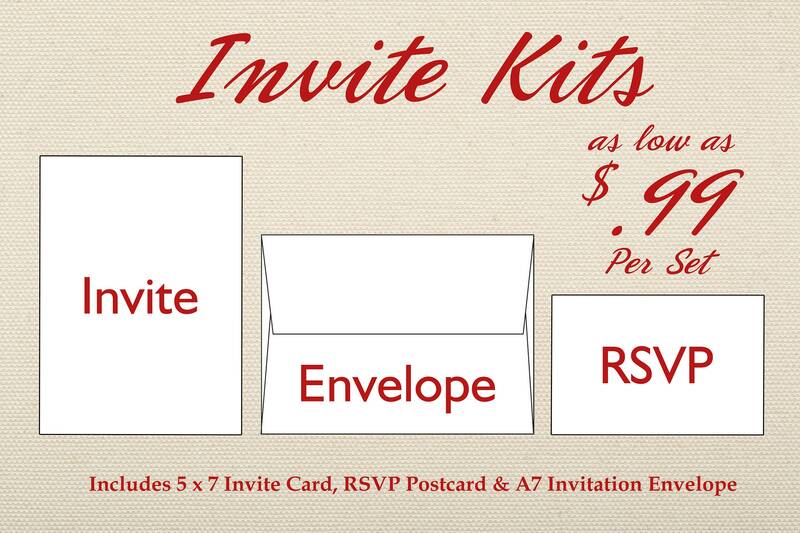 The watercolor brush strokes on this invitation set make this a great choice for a relaxed wedding. 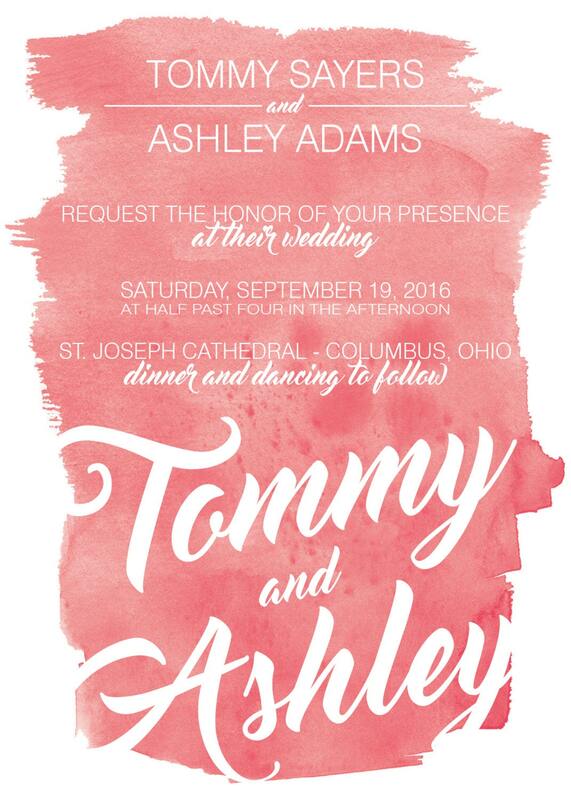 White lettering stands out on the pink brush strokes in the background. 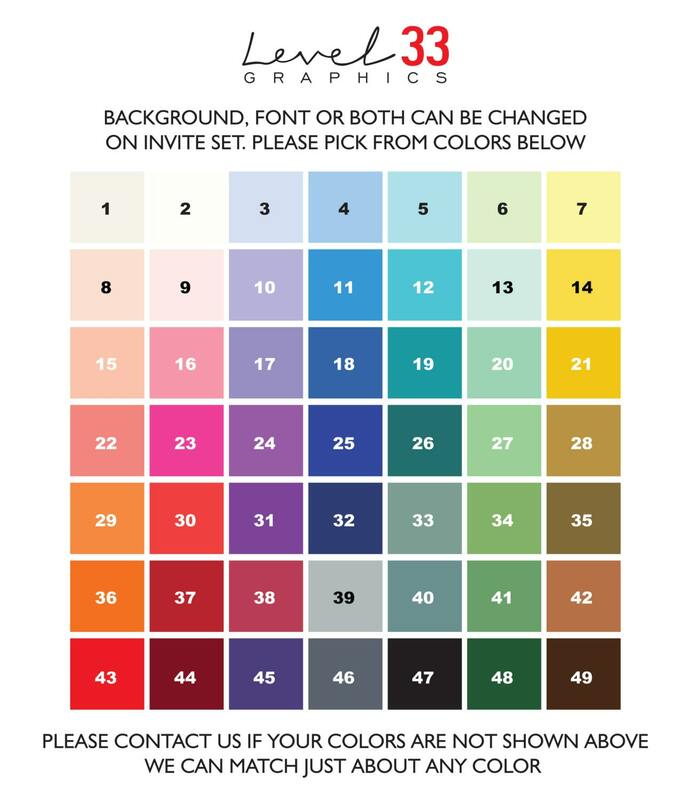 or orders over $150, use code "FREESHIP" to receive free shipping!